Using a DVD in French language instruction is one of the many ways in which you can learn French. You can also use traditional textbooks, and computer programs. However, most people will find that using a variety of methods and mixed media will yield the best and most consistent results in terms of fluency. One big advantage to using DVDs to learn French is that it places language in its natural context. If you're watching a sequence on greetings, it's immediate apparent what they are talking about by the dramatization. While you might not understand every single word--you'll be able to get the gist. This is just one means of using "immersion" as a method. What Is the Best Spanish Homeschool Curriculum? When it comes to choosing a DVD to watch you really cannot go wrong. The main determining factor is going to be the age of the students that you're teaching as well as their level of French. Even adults can get something out of a native French cartoon and beginning students of all ages may well appreciate the slow speaking style of an instructional DVD intended for children. Fortunately though, there are a variety of options when it comes to choosing a DVD to learn French. Here are just a few of the DVDs you can buy to help you (or your child) master the French language. Bonjour Les Amis comes in three levels and is geared towards children at a beginning level. It is in a cartoon like format and includes games, puzzles and song lyrics as "extras". Children will have fun following the adventures of Moustache as French lessons are presented in an interesting and fun format. The Standard Deviants: Parlez-vous Français? The Standard Deviants: Parlez-vous Français? comes in two levels. It is geared towards teens and adults, with cool graphics and very short segments. One distinctive is that this program is not an immersion program. Explanations are given in English and concepts are also taught in English. Practice is in French. Brainy Baby French takes advantage of the fact that babies who are exposed to a foreign language are more easily able to pick up the sounds of that foreign language. The video is divided into chapters, offers whimsical but familiar visual appeal and uses the immersion method. The entire video is done in French. Using familiar pictures, sights, sounds and colors, the video teaches simple phrases and words. There is also an interactive storybook and a music video sing-along at the end of the video. Instant Immersion French, as the name implies, uses the immersion method to teach French to adult beginners. Very simple format and thanks to the latest technology, the DVD is interactive. Consequently, you can answer questions, and more to check your comprehension. French for Kids makes learning French so fun that even teens and adults might be willing to try it. The DVD comes with a booklet and it makes the instruction fun and easy to follow along. This DVD provides what is known as a diglot weave where targeted French words are shown in skits making the words easy to understand in context. Talk More French is geared towards the adult learner. In fact, Eurotalk offers a wide variety of courses for those wanting to learn French--everything from those who want to pick up some tourist phrases to business French and etiquette. The DVD includes a phrasebook, as well as interactive features on the DVD to maximize learning. Learning to speak French from a DVD can provide some powerful practice in listening to native speaking. It can be highly effective since you are pairing visual stimulation with auditory learning. 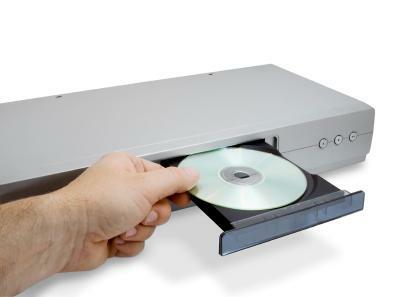 There are a variety of different products to choose from and interactive features make a DVD particularly productive.